After a successful reveal of the Rachel Ducker Inspired Q30 at the recent London Art Fair the vehicle is now relocating to a larger public display taking place at Westfield London, the premium shopping centre located in Shepherds Bush, West of the City. 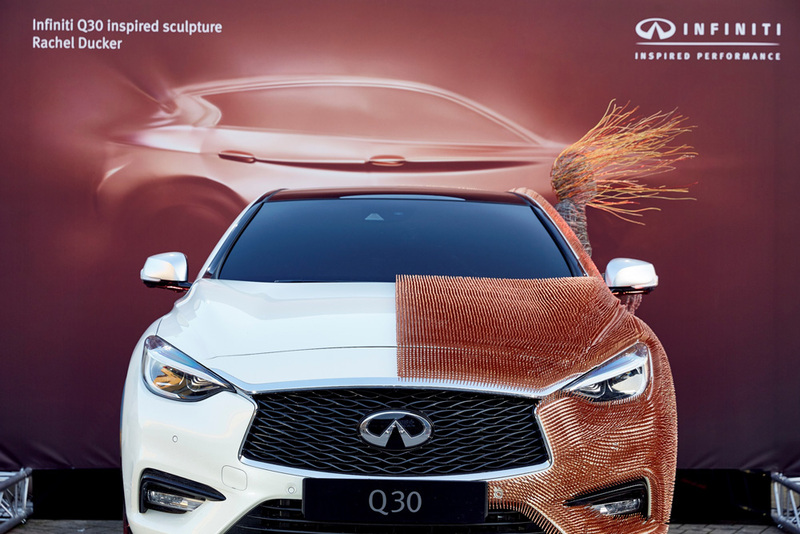 The Q30 with over 48,000 copper tacks covering half of its bodywork, along with Rachel’s own human like steel wire figures leaning out of the window, will take centre stage surrounded by several other untouched, and built in the UK, Q30’s. Also on display will be most of the Infiniti range, these include a Q50, Q70 and for the first time in the UK, a QX70 Ultimate.